Happy Halloween Ape Fans! In this episode of Talking Apes TV we celebrate this UrkoTastic holiday with stories of how Richard’s Galen costume made him cry, we try to figure out how Yummy Mummy and Fruit Brute fit into the Monster cereals, and why Vincent Price is giving out Easter seals to trick-or-treaters. We also say goodbye to our dear friend, Gary Dubin who passed away in early October. We had lots of laughs as we dove into the ‘was he/was he not’ the young gorilla in the original Planet of the Apes film. Whether he was or not, we were lucky enough to meet him at an apes autograph signing last year. He will be deeply missed. Then we dive into the episode Attack from the Clouds. This is the 10 entry in the Return to the Planet of the Apes series which aired November 8, 1975. 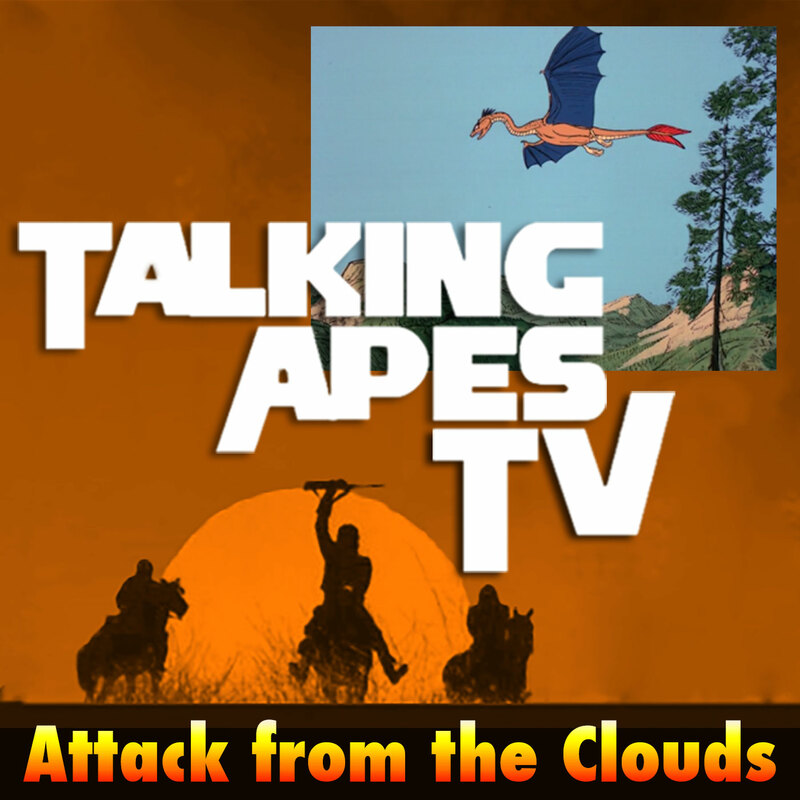 In this episode we continue with the theme of giant monsters when a a flying dragon creature is seen over Ape City. Urko believes it is his stolen plane being used in a secret plot to overthrow him. The dragon creature moves on and finds a food source in humanoid-land known as New Valley and begins attacking. Meanwhile Bill and Judy go to to locate the stolen plane from a previous episode before Urko before finds it which would spell certain doom. In an effort to save their herd Bill and Judy go out and locate Urko’s stolen plane and use it to to combat the beast! We have lots of fun with this one as we see Urko spiral deeper into his own madness. Listen, enjoy, have a Happy Halloween and, GO APE!